Psili Ammos. 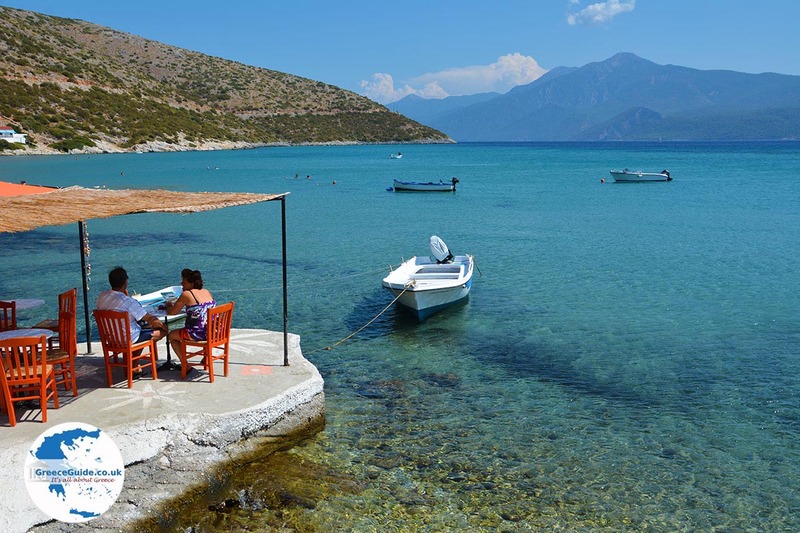 Psilli Ammos lies ten kilometres east of Pythagorion on the Greek island of Samos. 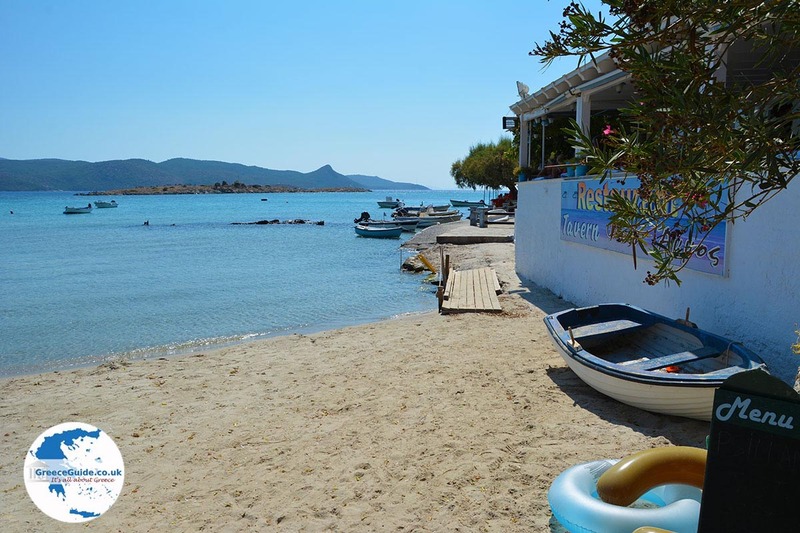 "Psili Ammos" literally means "thin sand" and that's true when looking towards the sandy beach in the village. 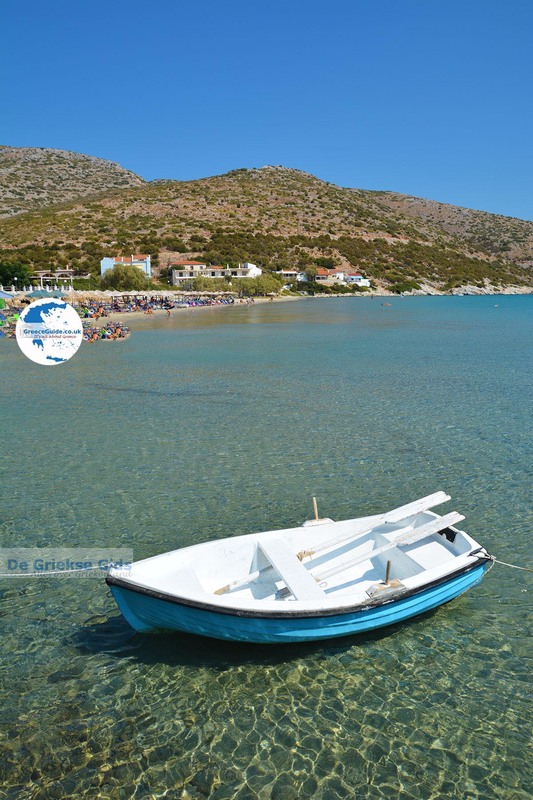 This is one of the most beautiful beaches in the east of Samos. 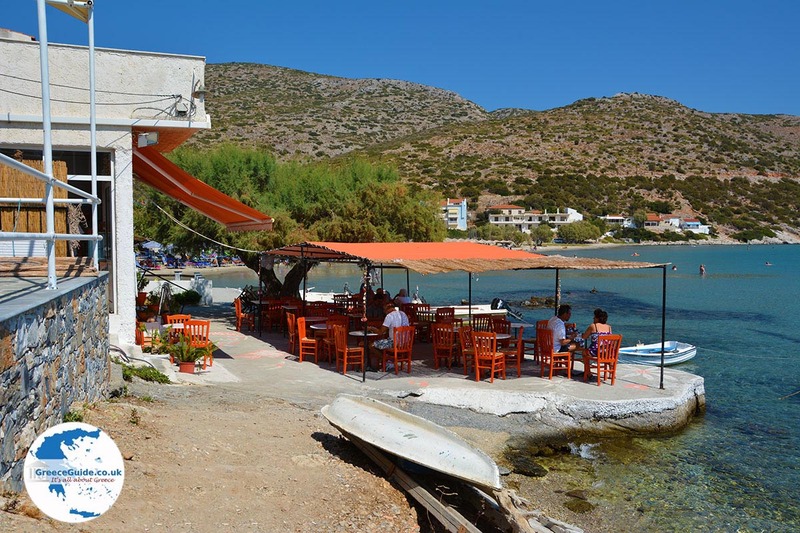 On and off the beach are some very nice tavernas where you can sit close to the waters edge . 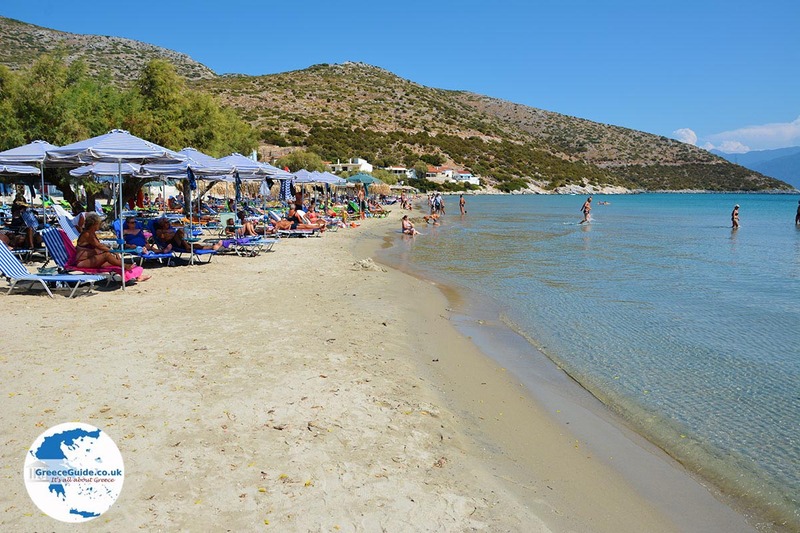 The beach is well organised with umbrellas and sun loungers. Around the beach are lots of trees and the nature is very green. 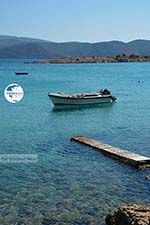 Psili Ammos, not to be confused with Psili Ammos at Limnionas in western Samos, is located in a beautiful bay. In the bay lies the island Vareloudi. 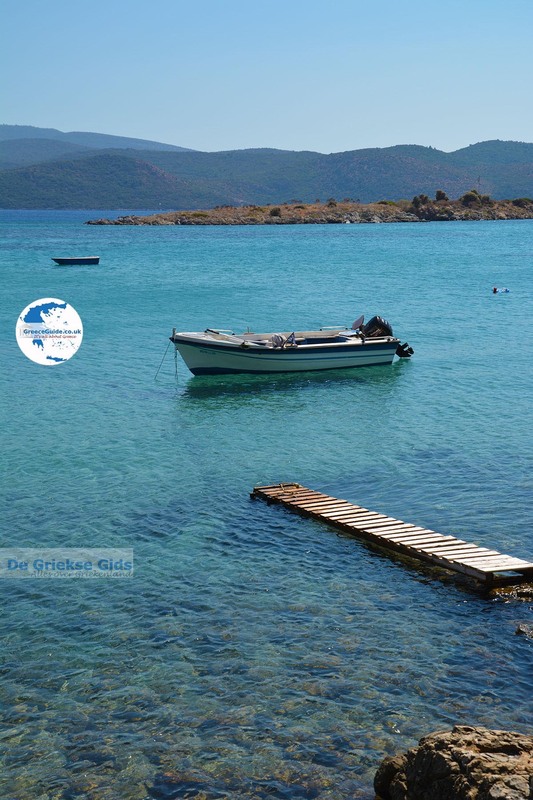 At this spot the narrowest strait between Greece and Turkey is located, the distance here is only 1200 meters. Mykali. 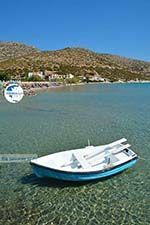 Mykali is a long pebble beach, which lies between Pythagorion and Psili Ammos, in the southeast of Samos. 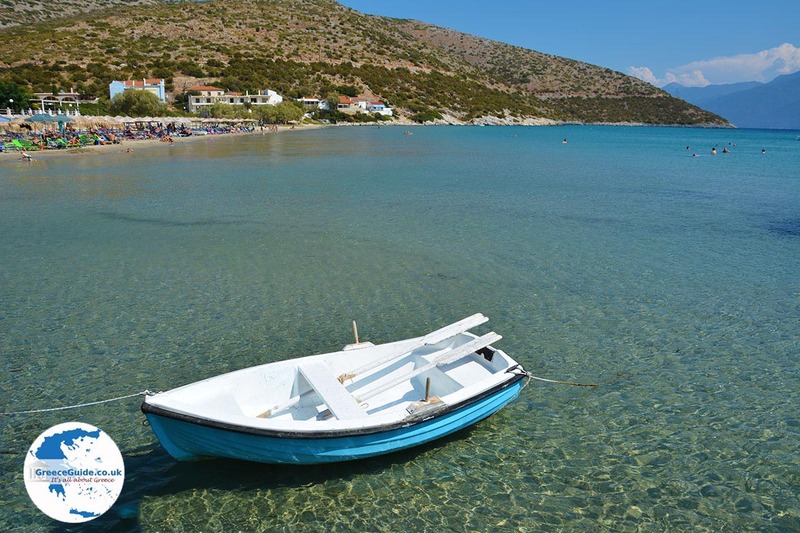 The whole beach has white and light grey pebbles, the water is crystal clear. 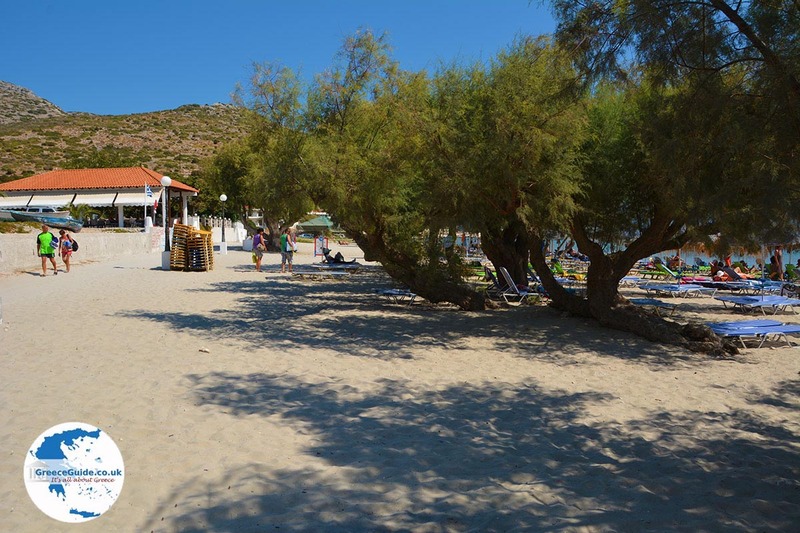 Here and there on the beach which is well organised you’ll find umbrellas and sunbeds for hire. 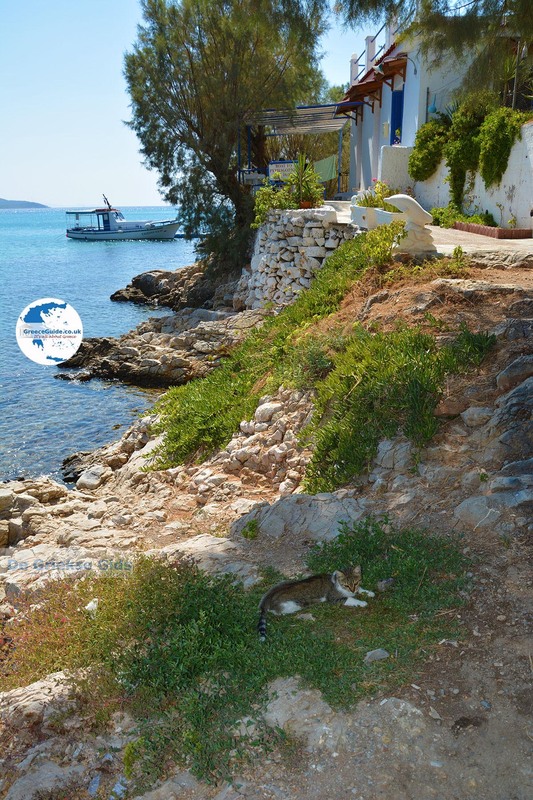 There are a number of tavernas and the trees often reach down to the beach. 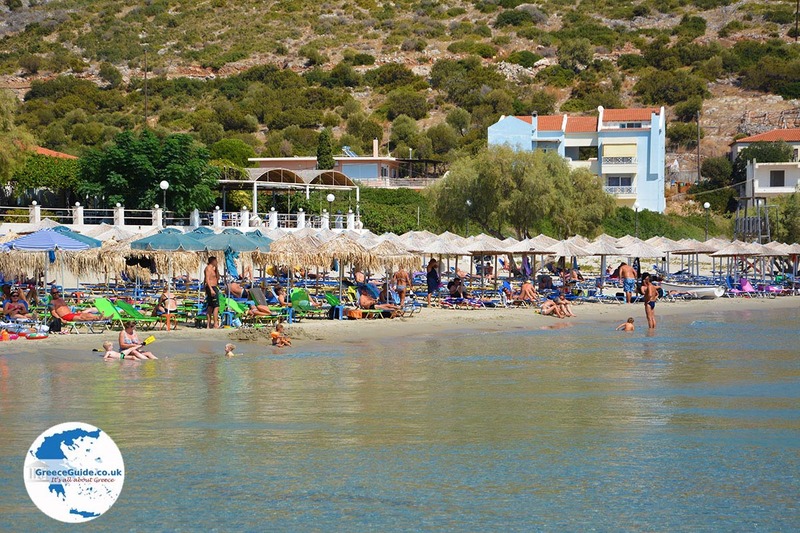 Over the length of the beach are several places with many good hotels and resorts. Mykali is located not far from the Turkish coast. The distance is less than four kilometres! 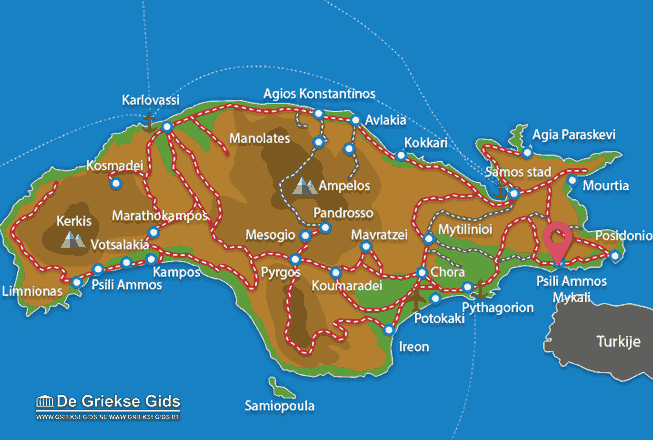 Samos: Where on the map is Psili Ammos Mykali located?